Sell Your Diamond Jewellery In London today. Get a quote within 24 hours. Based in Hatton Garden, London, We aim to pay the best price for your diamond jewellery. We buy all types of Diamond Jewellery from earrings to rings to bracelet and more. All carat Diamonds are purchased, whatever clarity, colour etc. Simply get in touch to get a free appraisal for your diamond jewellery today! The Luxury Hut is one of the leading buyers of secondhand diamond jewellery in the UK. The Luxury Hut deals in many types of jewellery including diamond rings. We buy diamond rings from sources across the globe. Why is our service unique? We make sure you receive the best possible price for your precious asset. We buy different kinds of rings and diamond jewellery, with an expert valuation to give you the most competitive price. We are a second-hand jewellery specialist and you can sell your diamond rings to us in full confidence. The most common type of rings are engagement rings. 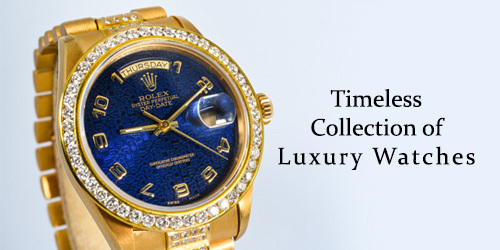 They often have a higher original cost price and therefore a higher second-hand value. We also deal in solitaire rings, wedding rings, eternity rings, designer rings, as well as multi-stone rings. There are many benefits you enjoy when you sell your diamond jewellery online to companies such as The Luxury Hut. We have a team of experts who have spent many years in this industry. The Luxury Hut is one of the largest diamond dealers in Europe, the United States and Asia. This means that we have a large operating system, knowledge, and a world-class customer service that will see you through your selling process. Rest assured that you will get the best value possible for your asset when you do business with The Luxury Hut, as we pride ourselves in offering the most competitive prices in the market. 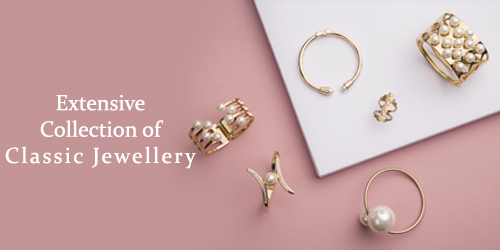 Due to the size of our team, we handle piles of queries every month from customers wanting to sell their spectacular jewellery pieces. “How much is your diamond ring worth?” There is no definite answer to this question as there are certain characteristics and factors that determine the price. Please fill out our form to begin the valuation process, or book an appointment with one of our experts to ascertain the true value of your diamond jewellery. At The Luxury Hut, we pride ourselves as one of the best diamond dealers in the jewellery business, with our experts who have many years of experience. This gives us an edge over our competitors. We are always available for buying and selling diamonds, and our valuation process is a vital part of that process. We treat our customers with respect and provide them with the best price possible in the industry. When selling your diamond jewellery, it is essential that you chose a company with experts in the diamond field to offer the most competitive price for your valuables. That’s what The Luxury Hut does. Our valuation process enables our experts to pay you the best possible price. 1 A detailed valuation of your diamond jewellery Our team of professionals will note the details of your jewellery including shape, weight (carat), clarity, condition, fluorescence, cut, grade and clarity, and present to you with an initial estimate for your item. 2 Metal assessment Of course, most diamond rings or jewellery are combined with other precious elements such as gold or platinum. The initial valuation also takes these into consideration when determining a final value. 3 Send your diamond jewellery piece for professional valuation We are one of the most trusted dealers in the diamond industry. Send your diamond ring to our UK office via our secure and insured Royal Mail service for a professional valuation. 4 Valuation of your ring by experts Our expert valuation team carry out a detailed valuation of your jewellery piece to offer you the highest price possible for your item. We have many years of experience in the diamond trade, which makes us one of the best in the industry. 5 Fast payment Once you have accepted a valuation of your diamond jewellery item and you would like to go ahead with the sale, you can be sure of receiving your money in less than 24 hours. Our payment systems are up-to-date, secure and efficient. Few companies buy both certified and non-certified diamonds, and we are glad to be one. We buy diamonds of any clarity and colour, and with our free shipping service, you don’t have to worry about any cost. Most diamond jewellery come with certificates from Gemological Laboratories such as EGL, GIA or IGI. This makes it easier for us to give an initial valuation as all the information is contained in the certificate. You can sell your diamond jewellery from anywhere in Europe, with the reliable, free, secure and insured shipping services of Royal Mail (in the UK) and FedEx (across Europe). Obtaining the best price from your diamond ring or jewellery is what matters most when selling your valuables. With The Luxury Hut, you can be confident in getting the best from your diamond jewellery item from the specialists who care.